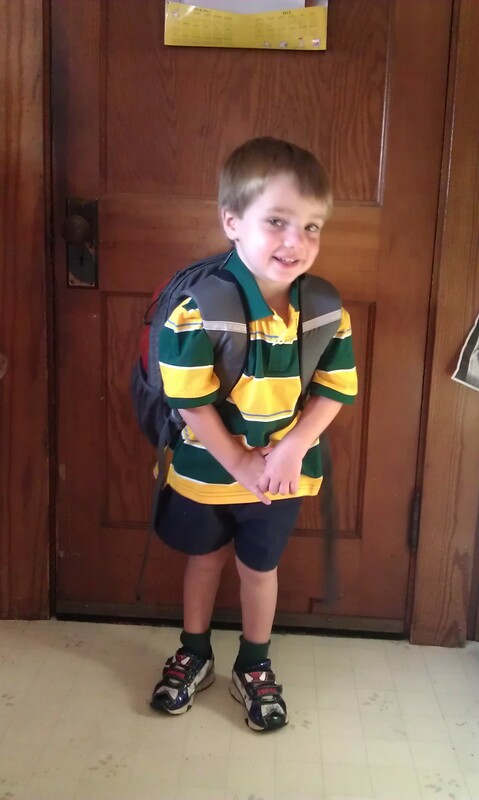 Logan started the first day of his 2nd year of preschool on the 13th. He had told me two days before that he was going to cry every day that I dropped him off (oh goodie). The morning of, he asked for a piece of gum – so I told him if drop-off went well, he could have some when he got home. On the ride to school, he told me that he was only going to play with kids he knew. To which I replied, "Great! You know Jack and Luke and Matthew…"